The Alcatel Shine Lite is beautifully shiny, as it names suggests, and brings a perfect roundup of spec and features for teens, students and young adults. 24-month contracts start at only £12.50 per month, making this the star buy for the budget conscious, during January and February this year. The camera on the Alcatel Shine Lite works well and has a 13MP resolution. Photography is aided by a dual-tone flash and the phone can capture video at a quality of 720p, which is handy as that is the same resolution as the screen. The 5MP selfie camera has its own flash and it is easier to get a natural looking pose, with gesture control. Several camera apps and shooting modes come pre-loaded and these includes Split Catcher, the Face Show selfie video maker, Easy Shot, Selfie Album and Pano. 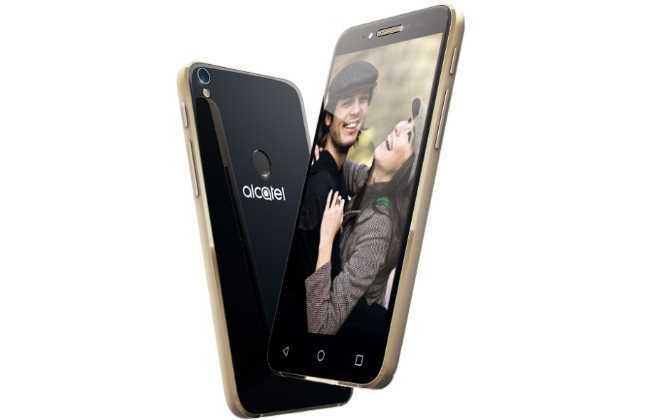 The design of the Alcatel Shine Lite includes the use of 2.5D Dragontrail glass, on both front and back. This strengthened glass gives scratch and crack resistance. On the front, there is a 5-inch IPS HD display with a resolution of 1280 x 720 pixels. A fingerprint scanner has been placed centrally on the back and can be used to unlock the phone or gain access to Safebox, where files, photos and videos can be stored privately. The Alcatel Shine Lite will also let you register up to five different fingerprints and these can be assigned to open different apps. This Alcatel mobile runs on Android Marshmallow and the experience is handled by a quad-core 1.3GHz processor with 2GB RAM. The 16GB internal memory can be used for storing apps and photos and the Boost app can be used to clean up junk files and keep the overall performance. The Alcatel Shine Lite weighs 156g and is 7.5mm thick. There is a 2,450mAh battery, which seems reasonable for a phone with a 5” HD display.